Kanye West and Kim Kardashian’s Baby Name Revealed! 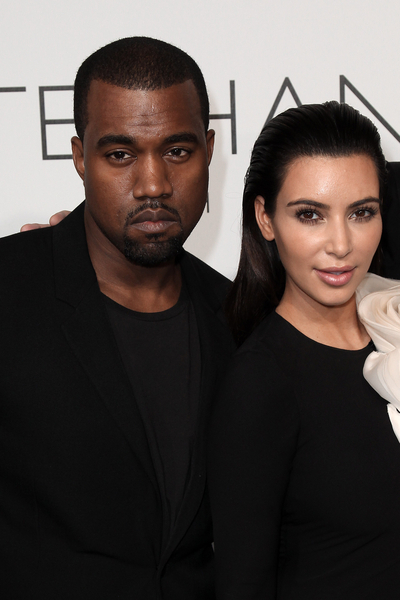 Kanye West and Kim Kardashian have decided on the name of their new baby, and it is a doozy. I was laughing so much when I saw the name, what is wrong with celebs today, they pick outlandish names for their children. I guess they are trying to be unique. Holly Madison recently called her new daughter Rainbow. So what is the name Kanye wants? Drumroll…… North! Yep, North. To find out why Kanye wants to name his new child North, head over to Mrs. Grapevine HERE who has the scoop on why Kanye wants that particular name. I wonder if Kanye will get his way on the name? Allegedly Kim is bowing to all his demands. Kanye hates maternity clothes, so she is not wearing any. Kanye does not want the baby to be on Keeping Up With The Kardashians and she is agreeing to that too. So it is not unbelievable that she will agree to a baby with a name starting with “N.” Just think how pissed off Mom Kris Jenner will be if they don’t keep up the family “K” brand.